Picking up on the emergence of innovative payment solutions appearing in the US like Square and projects like Bitcoin, The Royal Canadian Mint decided to get in on the game as well with its own digital currency project: the MintChip, seeking to offer the key benefits of electronic currency backed by the Canadian dollar. "Until now," the website reads, "there has been no electronic solution that cost-effectively addresses the very-low-value transaction markets, protects privacy, is available to everyone and emulates the characteristics of cash." And MintChip seeks to address this. The product "works online and offline, at the physical Point-of-Sale, on mobile devices, and enables easy person-to-person payments." There is no requirement for external authorization or intermediaries, payments are irreversible, and it has the cost-effectiveness, privacy and accessibility that current digital payment solutions do not. It even has a few advantages over Bitcoin; secure transactions are instant, it's backed by the Canadian dollar and it even manages to solve the double spending problem even without connecting to the internet. At first glance, it seems like the Mint has managed to implement all of the major features of Bitcoin and even improve upon the concept. So how does such a system work? On the surface, the security model is similar to Bitcoin: payment is done by sending a "value message" from the sender's MintChip to the receiver's, bearing the receiver's unique ID and a digital signature to prove that the message came from the sender. Once the value message is created by the sender's MintChip, the MintChip's balance is decreased by the corresponding value. The question immediately obvious to any Bitcoin afficionado is: how does the system prevent double spending - what prevents the user from sending a payment, resetting the state of the chip to a previous state and sending the payment again? Here, however, the answers become much less satisfactory. The core of MintChip "is an integrated circuit that holds electronic value and transfers value from one chip to another in a secure fashion"; essentially, proprietary tamper-resistant trusted hardware. The chip would store the user's balance and handle transactions internally, but would be designed to prevent users from going in and modifying the balance themselves. Such systems are nothing new, and time has shown them, like all other forms of digital rights management, to be far too insecure to build an economy around. About two years ago, the supposedly "unhackable" Infineo chip was hacked by Christopher Tarnovsky using an electron microscope, needles and acid, and one can only imagine how quickly such a feat would be repeated when doing so gives you essentially gives you an unlimited license to print money. The paradox of simultaneously giving users' devices the ability to arbitrarily modify their balance and denying that ability to the users themselves, even while the devices are in the users' hands, seems far less compelling a basis for a sound digital currency system than cryptographic digital signature algorithms and a proof-of-work based distributed public blockchain. There are other aspects of the system that Bitcoin users are likely to object to. The currency creation model is centralized: value is originally injected into the system by the Royal Canadian Mint and customers can purchase value to spend by going through trusted brokers. The system is designed to be able to force upgrades, giving the Mint the power to introduce onerous tracking features over time if it so desires. Innovative means of value storage like paper and brain wallets are out of the question, since nothing can be done without the physical chip, and it's impossible to have an online wallet that does not require trusting the provider. The influence of Bitcoin on such efforts is undeniable. The Mint has been watching digital currency efforts on the internet for many years now, and on the board of the MintChip Challenge’s judges are people like David Birch, who has researched Bitcoin extensively and even spoke at the Bitcoin conference in Prague last November. Five years ago, no government would have even considered supporting a digital payment system with the level of privacy that the MintChip provides, and the project is a sign of how times have changed. 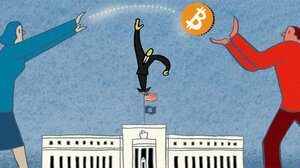 Even if Bitcoin itself never succeeds and other, even government-supported, alternatives eclipse it in importance, projects like Bitcoin have played a valuable role in keeping governments honest and ensuring that any system that they back at least pays lip service to concerns about privacy and centralization. Regardless of how well Bitcoin fares in its current implementation, it has already succeeded in spirit.